In 1999, as a promising young physician-scientist, Konstantinos Lazaridis, M.D. was given an opportunity for additional research training as a Mayo Clinic Scholar. With the goal to establish an innovative, research program on liver disease in the Division of Gastroenterology and Hepatology his mentors suggested he make a choice between studying human genomics and hepatitis C virology. He chose the former in a heartbeat. “This was an easy decision. At that time, the Human Genome Project was well underway and the promise of genomics in medicine was overwhelming”, says Dr. Lazaridis. He interviewed with luminary scientists of the field, Eric Lander, Ph.D., at the Massachusetts Institute of Technology and Francis Collins, M.D., Ph.D., at the National Human Genome Research Institute (NHGRI), for the opportunity to join one of their laboratories as a Mayo Clinic Scholar. He got a spot at both places, and made another key decision. Dr. Lazaridis, a hepatologist, brought that vision and training back to Mayo Clinic and started his own research program dedicated to dissecting the genetic contributions of rare, progressive, cholestatic liver diseases, such as primary biliary cholangitis (PBC) and primary sclerosing cholangitis (PSC), the latter of which has no medical cure. In 2011, he joined the Mayo Clinic Center for Individualized Medicine (CIM) as the associate director in Rochester. He is also the co-director of CIM’s Clinomics Program, a program that seeks to transform patient care with genomic-based tests. 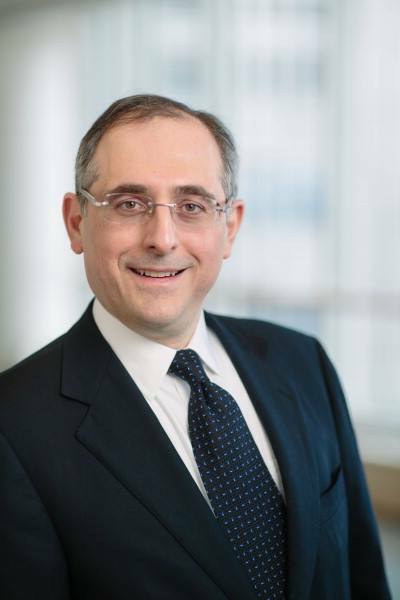 In these roles, Dr. Lazaridis is applying lessons learned from his own laboratory, working with a team of clinicians and researchers to find answers and individualized therapies for patients with a variety of diseases. “Through my work with CIM, we are continually looking for novel ways to apply promising technologies such whole exome sequencing to find answers for patients. We’ve made great strides, but our work in several areas is just beginning,” says Dr. Lazaridis. During his time as a Mayo Clinic Scholar in Genomics at NIH, Dr. Lazaridis says he had the good fortune to learn directly from Dr. Collins, director of the NHGRI and the Human Genome Project at that time and now the National Institutes of Health director. “Prior to my research experience at the NHGRI, I was trained as a cellular and molecular biologist. My interaction with Francis was catalytic to the way I think about and study disease as well as to realize the importance of biobanking human specimens for studies. Francis motto is that every disease has an element of genetic contribution to it – even trauma. I was effectively brain-washed by my mentor!” jokes Dr. Lazaridis. Through the Genomic Hepatobiology Laboratory, the research program he established at Mayo Clinic, Dr. Lazaridis is applying this knowledge to improve care for patients with chronic liver disease. “Our goal is to better delineate the genetic and environmental factors that predispose patients to develop PSC and PBC, chronic liver diseases that over time cause liver cirrhosis and failure, which can be fatal. Our current treatments for these disorders only manage symptoms or temporarily halt damage to the liver. Ultimately, those patients who progress to liver failure must undergo liver transplantation. In some cases, the diseases can recur even after transplantation. So there is a great need to develop new, ideally individualized therapies that offer relief for debilitating symptoms and prevent further liver damage,” says Dr. Lazaridis. Creating the largest research resource of and family registry for PSC and PBC patients in the United States: have compiled the most comprehensive collection of biospecimen samples from more than 1,500 patients with each disease and their family members. This unique resource is being used to dissect the causes of PBC and PSC in order to develop new predictive tools of disease outcome and treatments for patients affected by these conditions. Identifying genetic variants linked to PSC and PSC: have found more than 20 genetic variants associated with each disease, recently publishing the discovery of four new genetic variations linked to PSC in Nature Genetics. Discovering the environmental exposure(s) that contribute to PSC and PBC development: have found specific chemical exposures associated with each disease. As researchers learn more about the role of environmental factors such as diet and exposure to bacteria and how they interact with, the genetic variants they hope to use this information to understand the development and devise new, personalized therapies for these patients. Thank you for your deep insights and research paper. I am really happy to be here because this will help me to find out best treatments for liver disease. Thanks a lot!